His extensive knowledge includes his specialty areas of business lines insurance for Special Events, Restaurants, Bars & Nightclubs, Garages, Trucking, as well as Specialty Trade Contractors in Tree Care, Landscape, Lawn Care, Snow Plowing, Electricians, HVAC, and all types of Construction. He is licensed in Property & Casualty Insurance as well as Life Insurance. 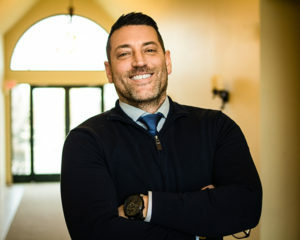 He has an Associate’s Degree in Business Management from Schoolcraft and a Bachelor’s Degree in Hospitality Management from Eastern Michigan University. In his free time, he likes to spend time with his wife and three dogs, read, cook and is an avid moviegoer.